In late 2015, SBV was awarded a grant from the Delta Dental foundation to conduct an Entrepreneurial Climate Study is a study that will be scientifically designed to gauge the entrepreneurial environment in Kentucky as viewed by active entrepreneurs. The goal of the study is to determine the past awareness and perceived effectiveness of programs designed to help the entrepreneur and what changes need to be made to provide better assistance to the entrepreneur. The Kentucky Entrepreneur Network has been established to connect entrepreneurs to each other, mentors, investors, technical service providers, and education resources, professional trainers and consultants to start and grow businesses. This robust network of entrepreneurs and service providers will help entrepreneurs and small business grow. SBV is now working with partners to seek funding from the Appalachian Regional Commission (ARC) for Green Entrepreneur Training in West Liberty and surrounding "coal impacted" counties in Kentucky and eastern Tennessee. SBV is also working with county and community leaders in the Four River Counties of Ballard, Carlisle, Hickman and Fulton Counties in far western Kentucky. SBV has partnered with the Lincolnland Economic Development Corporation in Spencer County Indiana to establish a Small Business Services Center in the Spencer County Bank in Santa Claus, IN. Sustainable Business Ventures (SBV) was founded in January 2009 under the original name of Kentucky Student Ventures Corporation. Our original vision focused on education, training and mentoring, so we can develop and encourage the necessary entrepreneurial skills of Kentucky high school and college age students to create and operate successful student-run small businesses. In the first year of operation, SBV was awarded three contracts from two Workforce Investment Boards in Kentucky to develop and manage 225 low-income individuals in 19 Kentucky counties: (1) Bluegrass Goes Green; (2) Green Entrepreneurial Leadership Institute (GEL-IN); and (3) Bluegrass Green Entrepreneur Program. The Bluegrass Green Entrepreneur Program started with a two-week entrepreneur boot camp followed by work experience at a local business or non-profit. During the recruitment phase of employers several asked for a criminal records background check. We were surprised to learn that several of our participants already had crimianl records so that started exploration of working with ex-offenders. Entrepreneurship: New opportunities for successful reentry: For ex-offenders, entrepreneurship offers new opportunities for successful reentry to the community and positive outcomes for the individuals and their families. Reducing recidivism & empowering ex-offenders to start their own businesses is a great new strategy and provides a means to creating jobs for ex-offenders, empowering them to earn a living wage more than capable of sustaining a family. 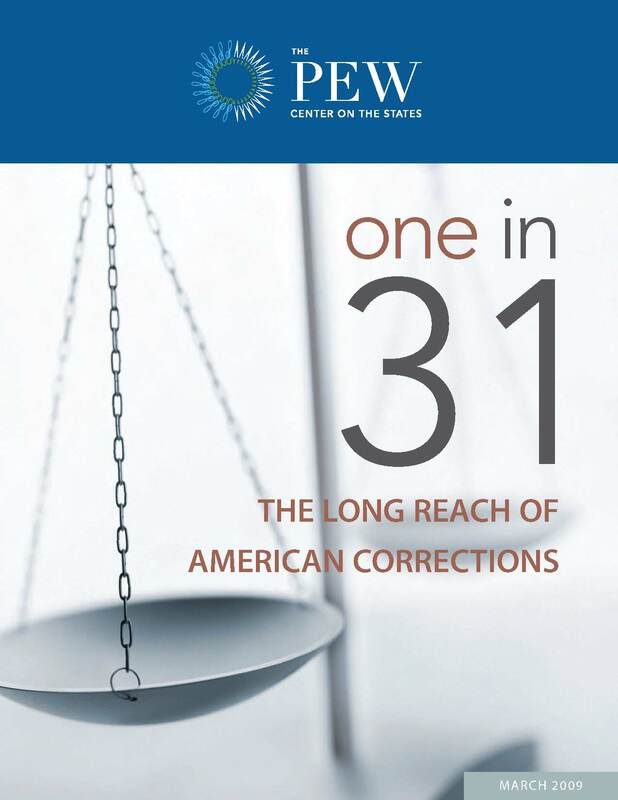 In March 2009, the Pew Center on the States released “One in 31, the Long Reach of American Corrections,” which reported the incarcerated population reached 2.3 million or one in 100 adults was in prison or jail. The report also revealed that more than 5 million people are on probation or parole, up from 1.6 million 25 years ago. This means that one in 45 U.S. adults is under criminal justice supervision, and combined with those in correctional facilities, one in every 31 adults, or 3.2 percent, is under some form of correctional control. There are approximately 700,000 inmates released from federal and state prisons and more than 1.3 million released from local jails each year. The national recidivism rate is 46.8% will be reincarcerated within 3 years and in New York, 79% of those re-arrested are unemployed at the time. This is a national crisis costing state governments over $50 billion per year. The inspiration for SBV’s focus on ex-offenders and entrepreneurship grew out of background checks required by employers when placing some of our low income youth participants. We were surprised at the number of the 18-24 year old participants that had already been involved in the criminal justice system. We learned about the highly successful Prison Entrepreneurship Program (PEP) in Houston and went to visit. Their 5 month program has trained over 800 inmates and the recidivism rate is an amazing 5%. This faith based non-profit meets graduates at the gate upon release, provides housing and 100% have a job within 90 days. For those graduates that want to start their own business the provide continued training and mentorship and more than 120 businesses have been started and more than 80 of these businesses are still operational. Check out this inspirational video about the Prison Entrepreneur Program: "How to Free A Prisoner" - click here. Bobby Clark published an article in Corrections Today! the national magazine of the American Correctional Association titled Entrepreneurship: Catalyst for Successful Reentry - click here. In 2012, SBV was award a grant from the Ohio Environmental Education Fund to train inmates with our Green Entrepreneur Program - Southeastern Correctional Institution - Lancaster OH. In September 2012, SBV was awarded a grant to launch RecycleForce Columbus. RecycleForce Columbus was an electronics recycling organization in the Columbus, OH area that provided a pathway for formerly incarcerated men and women to successfully re-integrate into the workforce and become responsible, tax-paying, and productive community members through short-term job placement in comprehensive, environmentally sound and secure end-of-life electronics processing. Robert G. "Bobby" Clark has been a publisher, speaker, trainer, entrepreneur and developer of social enterprises. Bobby is co-founder of Midwest Clean Energy Enterprises LLC and is President of Sustainable Business Ventures, a 501(c)(3) non-profit. He is chair of Bluegrass Tomorrow’s Bluegrass Forever Green program; a member of the Louisville Sustainable Council’s Green Economy Action Team; and member of the West Louisville FoodPort Community Council. Bobby is one of five founding members of the “low profit” company Unlimited Carbon Assistance Network, L3C and board member/officer of the Social Enterprise Alliance – Kentucky Chapter. Florence S. Huffman serves as the executive director of the Kentucky Board of Social Work, the licensing agency for social workers in Kentucky. Florence an attorney that focused upon child welfare law with a particular emphasis in child abuse and neglect, education rights, and children with disabilities. She was as co-owner, president and editor in chief of Clark Publishing (The Clark Group) and managed book projects for an online and print publishing firm and served as managing editor for authors. Karen J. Koch, CPA, MT is a recognized expert in tax treatment of fixed assets for commercial real estate and tax incentives for energy efficient real estate, who has worked in public accounting and private industry for more than 25 years. In 2012, Karen started her own tax consulting practice to serve as a resource to support the accounting framework for accelerated cash flow and energy incentives. Karen is a partner with Bedford Cost Segregation, LLC which utilizes the in-house Bedford engineering expertise to support unique tax solutions..
Paul is a faith based, door opening, expert networker with connections around the world. He started his global business administration & management education with studies at the U of Evansville IN, ISUE, Syracuse University & the Defense Language Institute (as a Russian linguist through the USAFSS and the NSA over 6 years in the Vietnam War Era.) He earned his first Business degree from the ISUE in 1982 and his second one from USI in 1986. Paul then enjoyed an outstanding business career and flew over a million miles around the world as an executive in material handling industries for FKI plc, Standex International and more. Owner and managing partner of the JYB3 Group, Kentucky's fastest growing public affairs consulting firm. JYB3 Group provides business strategy, policy advocacy, lobbying, public relations and business development services for select clients who do business with Kentucky state and local governments. John Y. Brown III was born into a family dedicated to serving Kentucky in many ways, including the arena of public service. John’s grandfather served in U.S. Congress, his father served as Governor of Kentucky from 1979-1983 and John was elected as Kentucky’s Secretary of State at the age of 32 and served two terms. Patty has worn several career hats and is no stranger to navigating change. After receiving a BA and MA in Education from The University of Kentucky, Patty taught art to high school students for 11 years. In 1981, she took a leap of faith and made the move to the financial services industry. She established Breeze Financial, LLC, an insurance, investment and financial planning firm in Lexington, KY. Patty served as a delegate to the White House Conference on Small Business in 1995. Bill Schutters has over 41 years’ experience as an entrepreneur, economic developer and business consultant. Schutters, whose specialties include marketing and finance, has consulted with more than 400 small business clients (January 2002-Present). He also is a certified trainer for the Ice House Entrepreneurship program, the Kauffman FastTrac and the NEF CORE-Four curriculums that help existing and aspiring entrepreneurs accomplish their goals. He is also certified to administer the Growth Wheel development tool and has his own entrepreneur acceleration platform called Digital Entrepreneur. Previously, Schutters worked for Kentucky Highlands Investment Corporation (KHIC) in London, Kentucky as their Entrepreneurial Support Director. Bill continues to work with KHIC as a consultant. He has also been a Director for the Kentucky Innovation Network. Over the last 16 years, Bill has successfully managed 22 grants totaling over $5 million dollars, awarded by Private Foundations, Federal and State government. Schutters has a bachelor of science in business administration degree with a concentration in accounting from Western Carolina University (May 1985). He was a founding board member of HandMade In America, a craft industry non-profit. Schutters also served as chairman of the Friends of Mountain History, another non-profit, and was vice-chairman of the Small Business Administration’s North Carolina Advisory Council. Bill is an SBA SCORE business counselor and has served as SCORE Assistant District Director for the State of Kentucky.